What would you do, and how would you feel, if suddenly stuck in a relatively small and closed space with total strangers for several days? 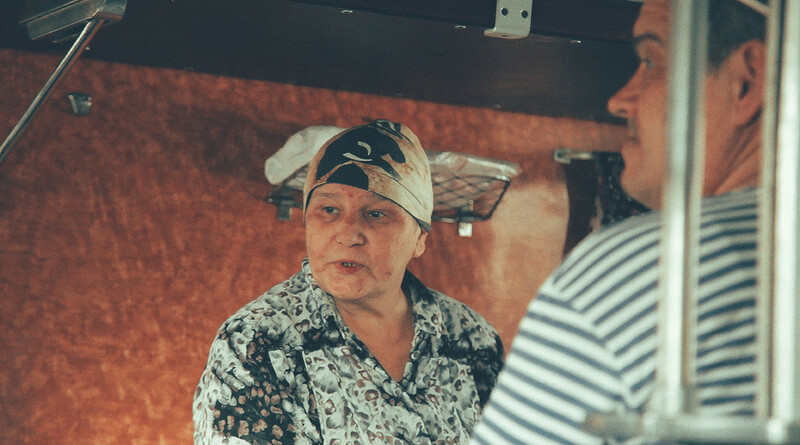 Ovenight trains and platzkart wagons are one of the most common features of Russian life, but this phenomenon is not well-known to foreigners. 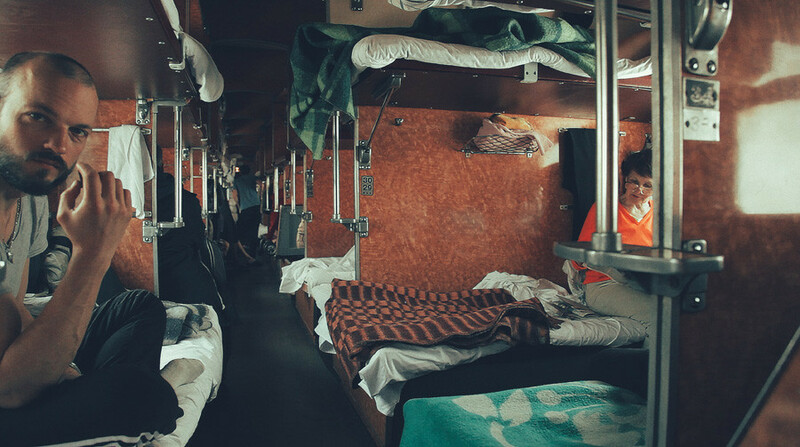 Imagine this: Total strangers suddenly find themselves sharing a small space and sleeping in bunks on top of each other for one or even several nights. They share food, drink tea and often reveal personal details that their closest friends and family might not even know. 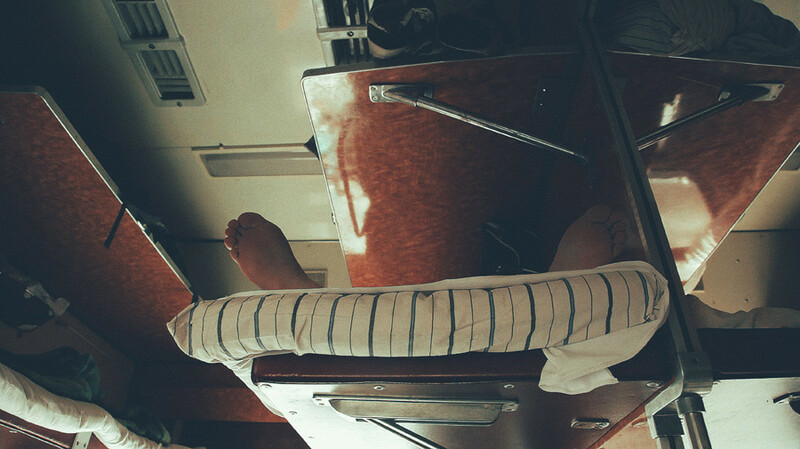 One day, Ilaria Kantorova, a young Moscow photographer and cameraman, felt the need to escape. 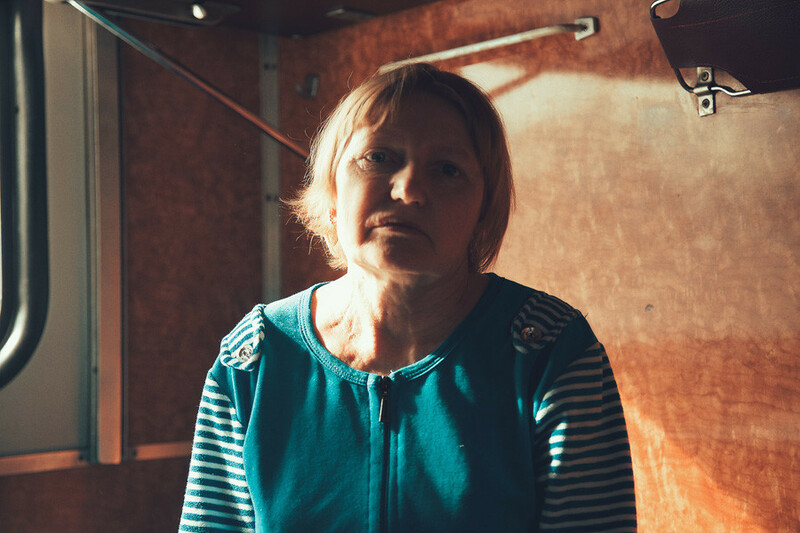 She bought a train ticket, Moscow-Vladivostok, and set off on a seven-day journey across the entire country, looking for inspiration. During the trip she filmed and took photos of her fellow travelers. "It seems that I lived an entire new life during this trip," Kantorova told Russia Beyond. She closely watched these people who just met without any rhyme or reason other than that they were issued a train ticket in the same wagon. These strangers, however, would often quickly bond, sometimes revealing personal details, things that they might never tell even close friends and family. "They managed to become friends, and in the next minute they might quarrel, but then again start chatting as if they never had any disagreements in the first place." Why do these people take such a long journey? Some said they were tired of their own kids, while others were returning home after a long separation from relatives. There were also those going to find work, and those returning home after an unsuccessful job contract. Some people, just like Ilaria, were on a journey in search of themselves. "I don't know where my place is; I just want my life to be interesting," a woman said. For Russians rituals are very important, and since Soviet times people who travel a lot often take their slippers with them, because by putting them on they feel as if at home. One of the most important train rituals is to bring food from home, and so when traveling in platzkart you’ll certainly smell baked chicken being carefully extracted from tinfoil. Sometimes there are boiled eggs, the shells cleaned upon the newspaper that you’ve just finished reading. Rarely, it might be canned sprats in tomato sauce, but more often it’s instant noodles for which you have to go to the hot water boiler, walking through the entire carriage, and trying not to spill it on the way back. 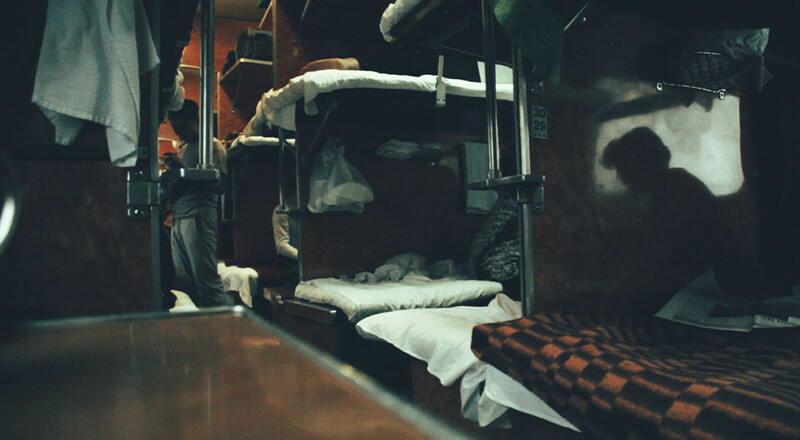 Another train ritual is renting bed linen and making your bed. Ask someone who is taller to help you take a mattress from the third shelf. When you’ve made your bed, the coupe becomes cozier and feels more like home. Another ritual is giving the rented bed linen back to the provodnitsa (wagon attendant). About an hour before the train arrives she walks along the wagon, shouting, “Сдаем белье!” (Bring back the linen). Tea can be considered Russia’s main national drink; not vodka, as you might think. And there’s a certain romance to train tea because it’s served in the Soviet tradition, in a glass with a decorated metal holder, called a podstakannik, so that you don’t burn your hands. By the way, since the boiler is fueled by coal, train tea usually has a specific smell. The rest of the time people read, talk and play cards with strangers, and pass the time looking out the window, watching the trees and fields pass by. 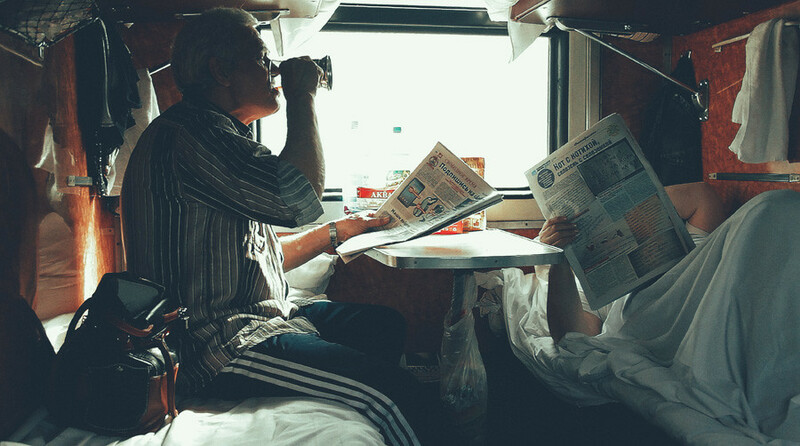 Any Russian can tell you that there’s nothing more meditative than looking out the window, pondering life or dreaming under the train’s rhythmic clatter. 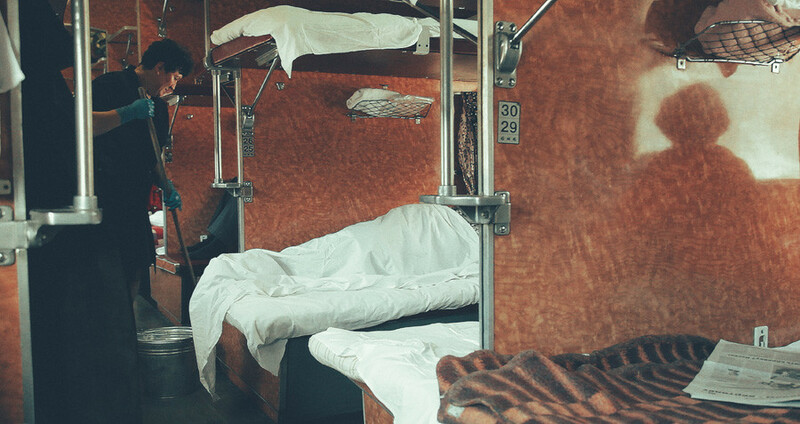 Read a day-by-day diary of traveling on the Transsiberian railway and get inspired!